Control of Shimadzu’s Prominence HPLC/UFLC and LC-2010HT series by Waters’ EmpowerTM / EmpowerTM3 chromatography data software is now available through a collaboration between Waters and Shimadzu utilizing the “Open Interface Portal (OIP)” for multi-vendor hardware control. 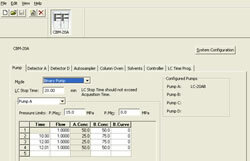 Shimadzu LC control parameters are set through the Shimadzu instrument method editor embedded in the Empower software. These parameters are stored and handled as standard Empower method files so that the instruments are directly controlled from Empower. In addition to seamless system control, the detector signal is digitally transmitted to the data system. This eliminates the necessity to add an A/D converter for analogue data acquisition, making system validation easier and more robust. Photodiode array detector 3D data analysis and spectral processing are also available through Empower. 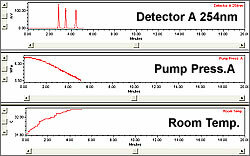 Furthermore, system status information, such as pump pressures and column oven temperature, may be monitored and recorded along with chromatograms, making your analytical data even more reliable. Full system control, including autosampler control, uses Empower sample set methods, and data processing is integrated with Empower software so that the audit trail functions of Empower software are fully utilized. This gives you full confidence in the compliance of the system to regulations such as GLP/GMP and US FDA 21 CFR Part 11. 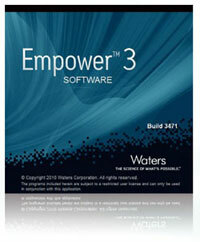 *Empower and Empower2 are trademarks of Waters corporation.